STATESVILLE- Rachel B. Cox, 89, went home to be with the Lord on October 20, 2017 surrounded by her family. Born on June 10, 1928 in Surry County, NC she was the daughter to the late Colonel Howard and Mary Tucker Boyles. She was a loving and caring mother, grandmother, great-grandmother and great-great-grandmother. She was of the Baptist faith. She loved to garden, crochet and spending time with her grandbabies. 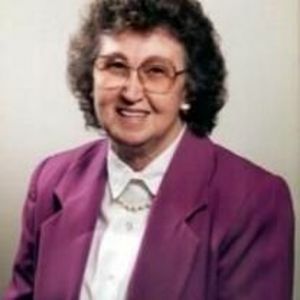 In addition to her parents she is preceded in death by her two husbands, Charlie O. Johnson and Archie Cox; two grandchildren, Michael Johnson and John Johnson; daughter-in-law, Janice Johnson; two sisters, Ethel Fulp and Brenda Hobbs and brother, Wilburn Boyles. Left to cherish her memory are her three children, C. A. Johnson, Lynn (Shirley) Johnson and Jack (Cary) Johnson; eight grandchildren, Alem (Leona) Johnson, Tim (Lisa) Johnson, Teresa (Mark)Rufty, Rachel (Lee) Trivette, Tyler (Hannah) Johnson, Charlene (Zane) Jones, Kaylee Johnson and Jaden Johnson, 13 great-grandchildren, Chris Johnson, Kimberly Johnson (Landen Cavin), Dylan Souther, Nicole (Alex) Free, Jody (Jennie Rae) Johnson, Cody Johnson, Jessica Johnson, Bailee Johnson, Grayson Jones, Emma Jones, Dustin Mooe, Hayden Trivette and Curtis Trivette ; four great-great-grandchildren, Elizabeth Johnson, Alana Johnson, CJ Johnson and Bentlee Johnson; sister, Betty Campbell; two brothers, Bobby Boyles and Bill (Gail) Boyles; fur baby, Sweet Pea and many other loving family members. A celebration of life service will be held on Monday, October 23, 2017 at 11am in the chapel of Bunch-Johnson Funeral Home. Burial will follow at Iredell Memorial Gardens. The family will receive friends from 5-7pm Sunday, October 22, 2017 at Bunch-Johnson. Memorials may be made to your choice of any Hospice. Bunch-Johnson Funeral Home is honored to be serving the Johnson/Cox Family.